Back in the late 80's there were no correspondence or home study courses available on the subject of sports nutrition, especially for retailers selling sports nutrition products in health food stores. So Cory decided he would write something to help retailers understand the science and philosophy of sports nutrition. But he knew that to be successful in any field of endeavor, one has to ensure that a market exists for one's product. So Cory traveled from Canada to Australia, England, South Africa and the United States to investigate. 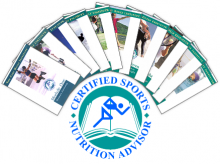 He met with various leaders and executives of health food associations and discovered that none of them offered any structured sports nutrition education certification courses to their members. Cory also visited hundreds of health food stores and gyms in these countries and asked retailers if they thought the idea was good. They all agreed. This was all Cory needed to know. He was now absolutely certain that writing a course on the topic of sports nutrition would fill a definite educational need. Supply the demand and hopefully be the first to do so, and he was. So Cory returned home and began writing a course he thought would take him no longer than 50 hours to complete. Keep in mind he was working full time as a product consultant and technical advisor, travelling across the country giving lectures, training retailers, formulating products, training five days a week, competing as a natural bodybuilder and hammer thrower, studying as a part-time student and raising three kids with his wife Tracy. Cory would stay up late to study, read, do his research and write. Write, edit, re-write, edit and write, write, write...sometimes to the point of complete mental exhaustion. In fact he even put a bed in his office downstairs so he could pass out after everyone had long gone to bed. Cory was determined, but he also soon discovered that his original projection of 50 hours had now grown to more than 500! Years were going by and the course was still incomplete, but it was getting better and better. If any of you know Cory personally, you know he likes to do everything with precision and to the very best of his ability. Cory's big break came after reading Optimum Sports Nutrition and teaming up with his mentor Dr. Michael Colgan. This one book in particular put sports nutrition on the map, as Michael is a medical scientist, a superb writer and an exquisite researcher. In fact if you haven't heard of Dr. Michael Colgan, the Colgan Institute or read any of his best selling books, then you have yet to meet the true pioneer and original "Einstein" of sports nutrition. At first Cory decided on 6 chapters, then 8 and finally 10. So he divided the course into two. The original CSNA Education Program was distributed as "Introduction to Sports Nutrition 101" and "Advanced Sports Nutrition 201". The first edition was published and printed in two large blue student study binders that included four additional books. As Dr. Michael Colgan and many others including ISSN CEO Dr. Jose Antonio have stated after carefully examining the course, "Cory, you have written a masterpiece". What started out as an idea whose time had come and a 50 hour "recreational" side project, evolved over time into a ten year labor of love. That's right. Ten years of blood, sweat and tears is what it took for Cory to complete the entire course from beginning to end, an estimated 5000+ hours! 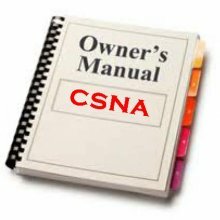 Cory wanted to provide students with the same type of instruction manual that is present in the glove compartment of every new motor vehicle, but in this case it would be a "How to Get Well and Stay Well Owners Manual for Life", and that's exactly what the CSNA Education program is, an Owner's Manual For Life. At birth none of us receives an Owner's Manual. It is up to us to navigate our own way through the maze and madness of this life, or worse, we receive misguided and irrational instruction as infants and children that causes us to sabotage our personal health and become vertically ill for life. The health and welfare of any wild or domesticated animal is dependent on the right diet and plenty of movement and the human animal is no different. The same natural laws of biology and physics apply to every living organism. The CSNA Education Program teaches each student how to train, exercise and feed the body correctly. It teaches independence, self-direction and rational thinking. It advocates reliance on scientific evidence, reason and logic, as well as positive emotion provided the latter is in alliance with science and reality. The course defines what human motivation is and how to culture it. The objective of the course is to help each student create excellent functional health, outstanding injury-free athletic performance, freedom from disease and long-term sustainability. A Biological Means to a Very Specific and Worthwhile End: Your Health! The second edition of the CSNA Education program was converted from a pre-printed study binder to CD-ROM format, which made production, warehousing and shipping much more cost effective and efficient. But the course still needed to be shipped and that took time, especially if the course needed to be shipped overseas. In some countries, mail service is not very reliable, thus the physical nature of the course material acted as a deterrent. Now the CD is going the same way as the record disc, eight-track and audio cassette. Believe it or not the CD is no longer considered viable or sustainable. The whole world is going strictly electronic and digital. Out with the old and in with the new! When the third edition of the course went 100% digital online it really took off. Now there are thousands of CSNA students and grads worldwide. After each student enrolls in the course online they typically gain access to their study programs and audio tutorials in minutes or hours instead of days or weeks. Students simply download the course files from the internet directly to their PC, Mac, eBook Reader, smartphone or MP3 Player. Imagine being able to distribute and receive such important and useful knowledge so quickly and efficiently. Socrates, Plato and Aristotle would all be amazed!